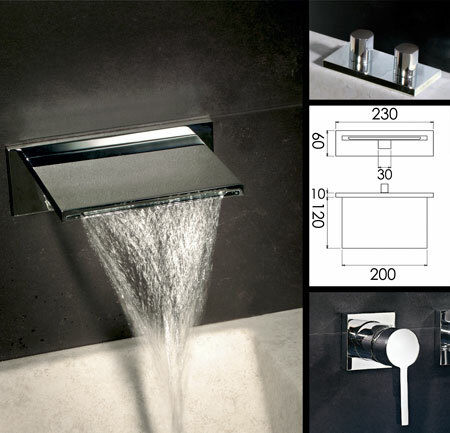 The Waterblade bath mixer tap spout is designed with the choices of waterfall bath spout only, waterfall bath spout with a single lever mixer control or waterfall bath spout with a double mixer control. There is also a choice between deck mounted or wall mounted tap controls. * Part of waterfall tap collection.